My dear, have you tried my Ancestry Hair Yogurt? It’s made with real shea butter and Jamaican black castor oil. No, I haven’t. But, not sure how that relates? Do you mean trying it like I used the Curl Prep Sweet Buttah? Looking great Shelli!!! Thanks for sharing! Your hair looks amazing! I’ve loved aloe vera gel since my relaxed days. I’m transitioning now but i still use it to slick my hair back.. and for my face. I love aloe vera gel because it gives me a soft natural hold, unlike the helmet head that eco styler gives. Awww, thanks Toya! I’ve tried it to slick back my edges, but it doesn’t seem to hold me hair for that. You know, I had to think about why I had the bottle, then remembered that during the summer, I mix it with my lotion to make a lighter moisturizer that isn’t so oily! LOL!! Do you use it solo on your face? It doesn’t keep my skin moisturized enough that way and I also use the lotion for the SPF. Just wondering how you use it. So, did you put the marble-sized amount on each braid within the four sections or one marble-sized amount per each of the four sections? Thank you! I put a marble sized amount per each of the four sections. Except, when I applied the gel, I did a little per braided section. So, I didn’t apply the “marble” all at one time to the big section. I applied a little of the gel to the smaller section. I’m soo excited that the aloe vera gel worked for your beautiful mane and extremly humbled at seeing my video on your site. Great information! And amazingly gorgeous hair! Thank you and your hair is gorgeous too!! 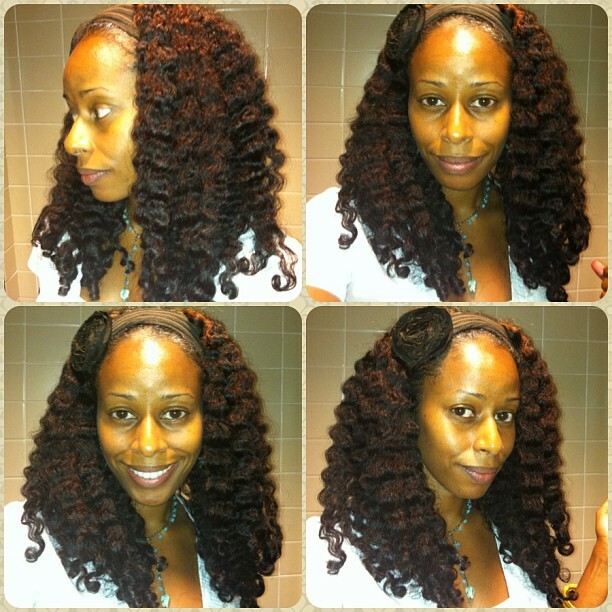 I LOVE your braid-out results!! And thank YOU for sharing your combo! Seriously … my hair was sooooooo soft and silky! I hope that I get repeat performances :)! 1. I am a huge fan of your blog and hair! Question: Do you have any videos or post(s) about how you release your braids/ twist? It is always fluffed out but still defined!!! Thank you so much for sharing!!!! As you’ll see there, I really was separating rather haphazardly and quickly. However, for this braid out, I didn’t do anything. I just released it and shook it a little. With the smaller braids, I didn’t need to separate much. 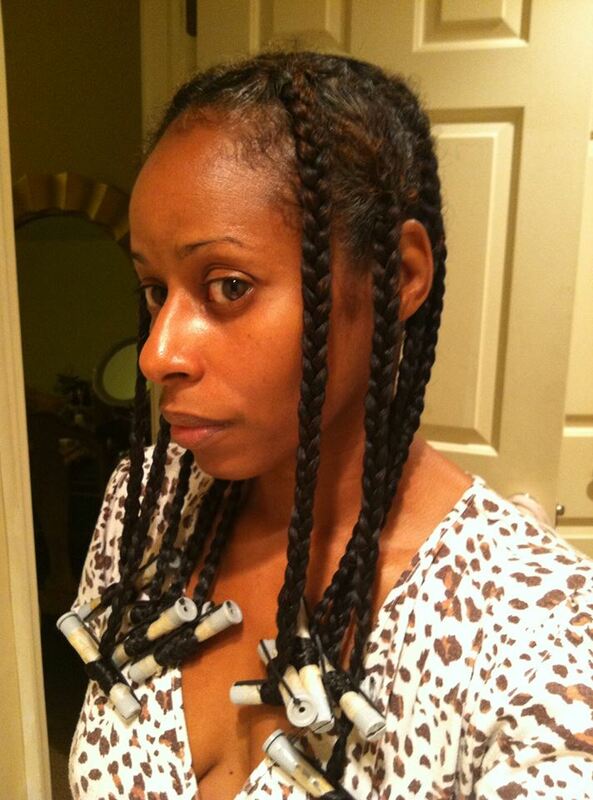 The separation is the three sections of the braids. 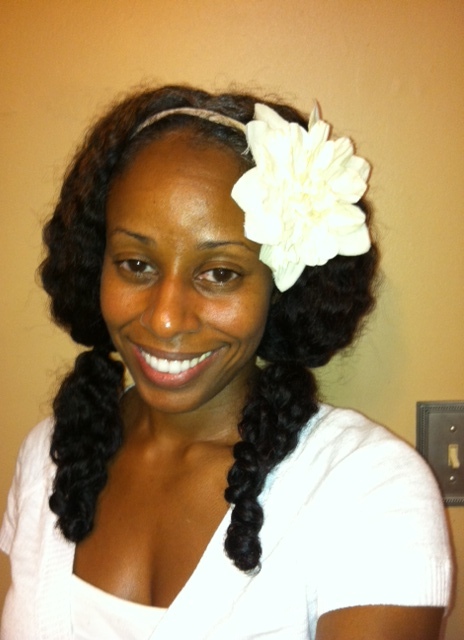 At the most, I’ll massage the roots to cover the center part in the back and to try to encourage some volume. HTH! Love it! 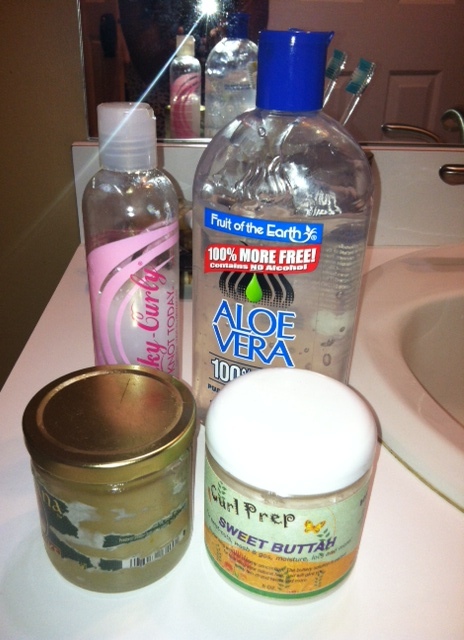 I’ve been using aloe vera gel also and experienced less frizz and softer hair. OMG!!!!! Shellie I tried this exact method over the weekend and released my hair this morning on my way to work (my hair takes forever to air dry!) and all I can say is superfragilisticexpialidocious… This is the best braid out I’ve ever had in my 5 years of being natural. My fine, limp curls are super bouncy and SOFT! Thank you for this awesome post it has changed my regimen completely!!! Awwwwww!!! That is awesome Nikki!! You know that it my go to combo now!! Anytime I set my hair in a TnC or BnC, that’s what I use ever since I posted this last year!! I love it! Glad that you do too!! 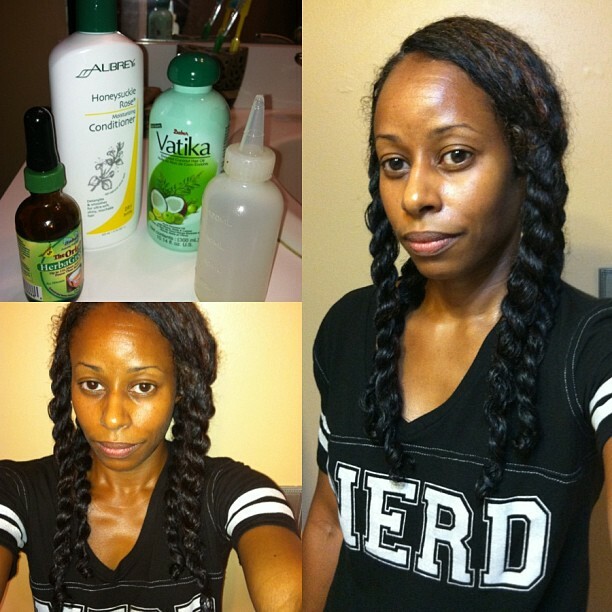 Okay, okay…., though I embraced the aloe vera gel long ago, and even copped some Sweet Buttah at an event, I had long resisted your braid-n-twists bc I was convinced the practice would result an in overly-defined release. 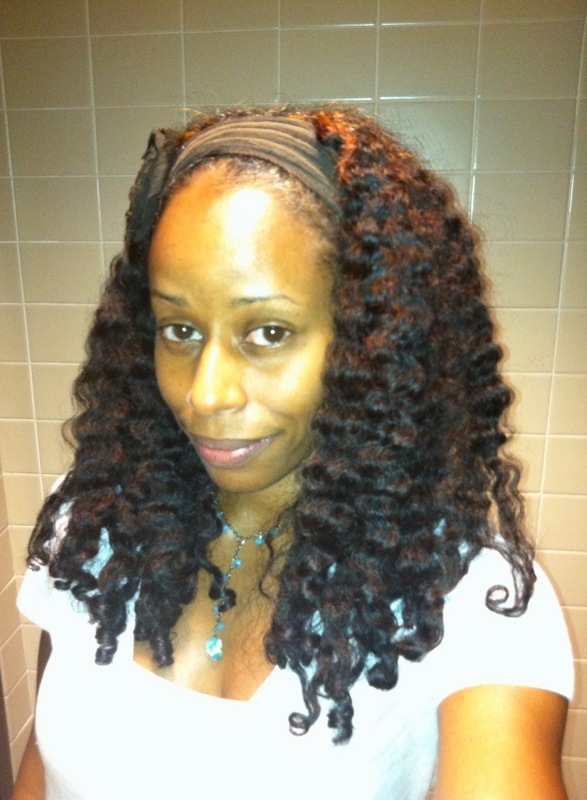 Now in the interim, I’ve had some of my best braid outs using the products, but my hair would often revert to looking straighter as time went on (don’t ask me why, but my hair tends to do that in conjunction with using silk scarves – go figure O_o). Anywho…. i was sick of this “sometimey-love,” so I finally caved like the Flintstones (my FAV cartoon of all time – lol), and did the dang thing last weekend. DRUMROLL – I am now on day 4 of a braid-n-twistout (you wish I WOULD get a day 4 w/o some fire station quick intervention prior to this, but I digress…), and it is HECKA defined still, I’ve gotten the bulk of the compliments in my area (trust me – I KNOW this cause da hurr is FIREEEEEEEE), and I’m feeling myself just a tad RATT NOW…!!!!!! I am SOLD, and more EXCELLENCE is still to come!!!! If you feel more nauseous when you’re out and about, get some sour patch kids as a quick fix (they helped me tremendously), and know that I’m sorry – It’s the residuals from ALL DESE WAVESSSSSSSSSS!!!!!! Yassssssss!!!!!!! lol!